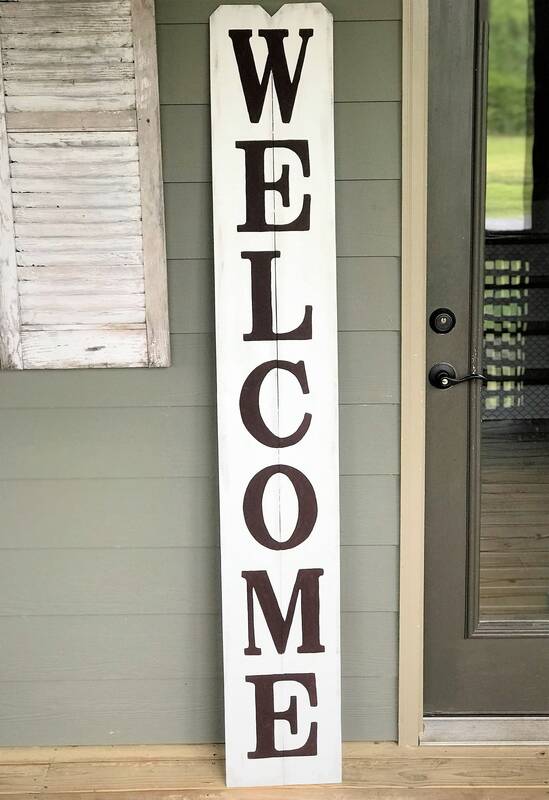 These 6 ft. tall WELCOME signs are sure to add southern charm to your front porch or entryway. They are a great way to add a pop of color or an eye catching statement. At 72 inches tall, they are large enough to be seen from a distance, but at approximately 12 inches wide, they are narrow enough for even the smallest porches. 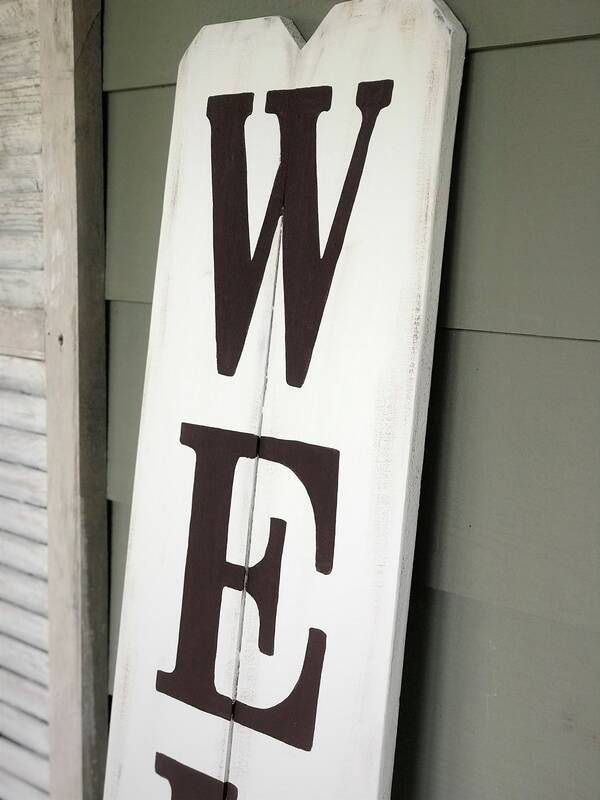 They are made from reclaimed pressure treated lumber and are finished with an exterior grade sealant. 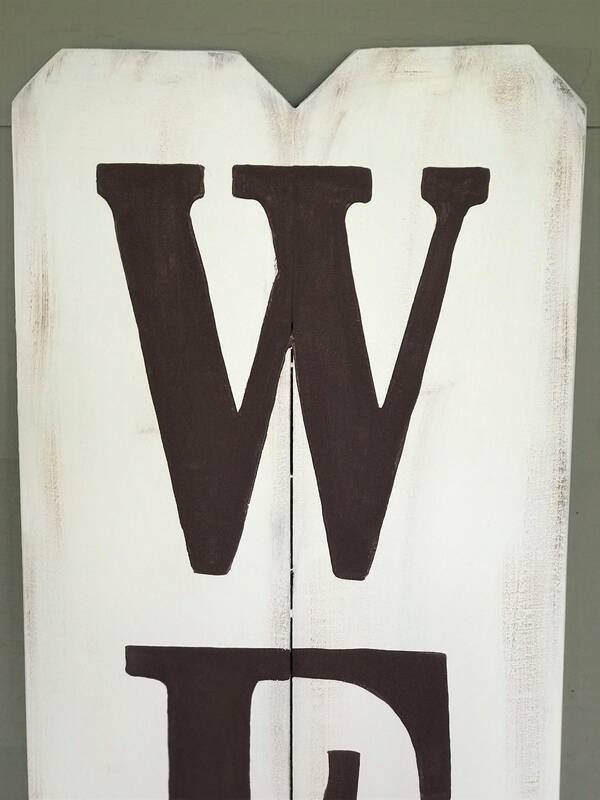 - This particular sign is painted a rustic white and the lettering is painted dark brown. If you don't see the colors you need listed in my shop, please contact me and I will be glad to accommodate the color combination you would like. My signs are always 100% hand painted and vinyl is never used.